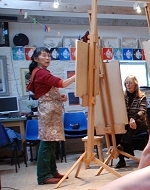 We hold monthly Life Drawing classes generally on a Wednesday for artists of all abilities in our top studio. The groups are small – up to eight. The day is divided into am and pm sessions with a different model for each session. The morning session 10am to 1pm, usually consist of a series of quick poses leading up to the afternoon session 2pm to 5pm, when the poses are longer. 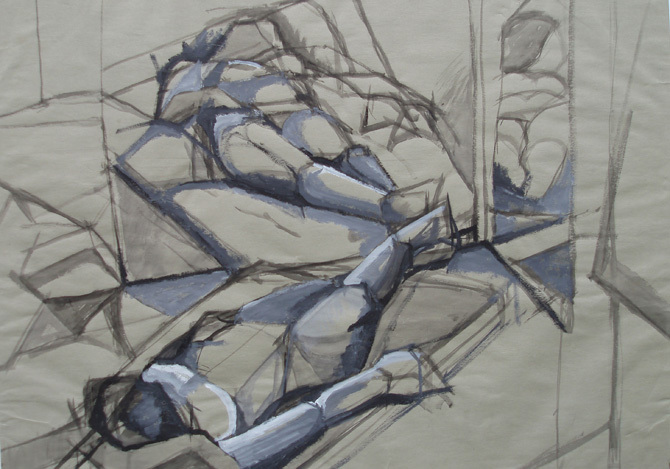 You can work in a variety of different materials – stick and compressed charcoal, conte, graphite sticks, graphite powder, chalk pastels, oil pastels. 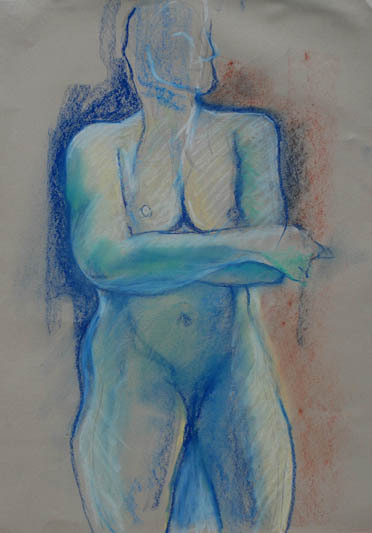 ink, acrylics, watercolour or oils. 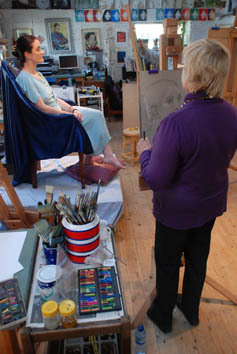 The studio is equipped with floor easels, A1 drawing boards and a selection of different papers to work with. As well as materials, a good lunch is provided with refreshments throughout the day. 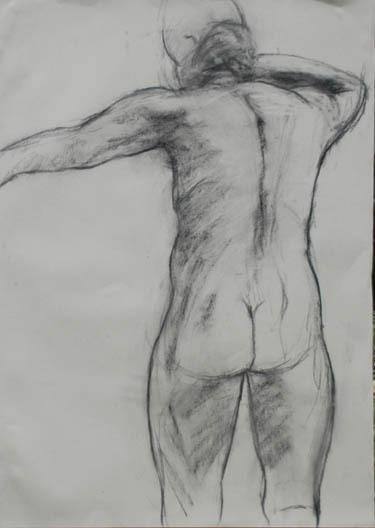 We offer a day of Life Drawing on our six day Drawing and Painting Techniques courses throughout the year.